The LIFE+ Project for Thorne & Hatfield Moors was officially launched yesteday. Natural England have secured some £2.3m of European funding which will build on the works currently being implemented by the Doncaster East IDB through the Thorne Moors Water Level Management Plan. This funding will see some eleven jobs created for Natural England, some scrub clearance on both Thorne and Hatfield Moors and some scientific survey and monitoring over the three year period of the project. The presentations took place at Hatfields (Doncaster) and after lunch delegates toured a few select spots on the southern fringe of Thorne Moors. Linda McAvan MEP for Yorkshire and the Humber and The Rt Hon Caroline Flint MP both reflected on the timeline from peat extraction through to LIFE+. Delegates learned that Ms Flint is the MP who most mentions ‘peat bogs’ in the House, we say long may that continue! McAvan spent the afternoon out on the southern boundary drain getting to grips (for those with a knowledge of peat restoration: no pun intended) with the complexities of peat hydrology. 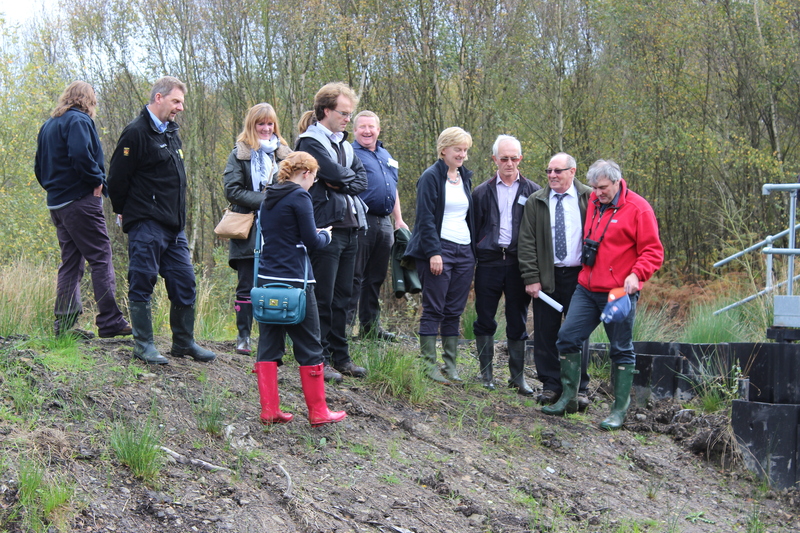 Linda McAvan with some of the delegates from the LIFE+ Project site visit to Thorne Moors SSSI. Prof. David Hill, Deputy Chair of Natural England * also attended the launch event and visit. Both Prof. Hill and David Shaw, a Senior Manager in NE, spoke of the importance of partnership working. Prof Hill is an advocate for biodiversity offsetting and a founder of the Environment Bank. 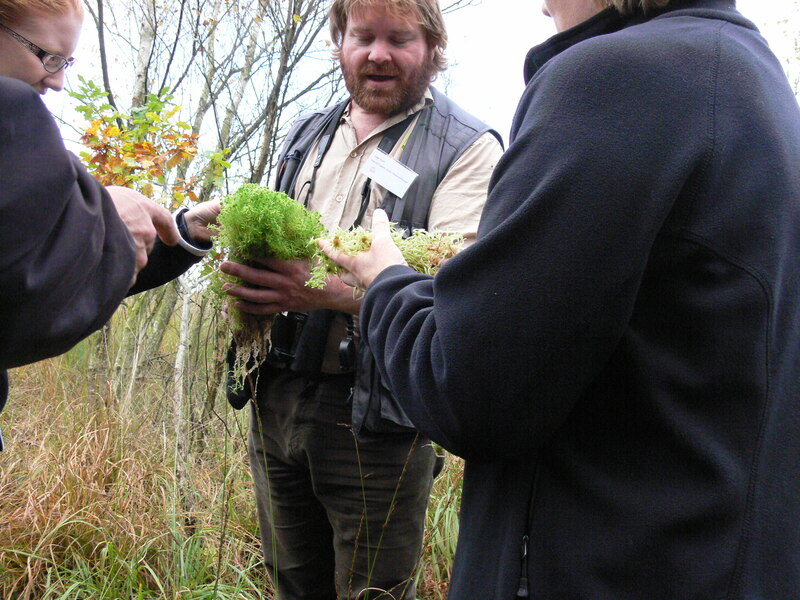 NNR staff explaining the intricacies of sphagnum identification. Posted in Executive Secretary | Comments Off on LIFE+ after Peat?